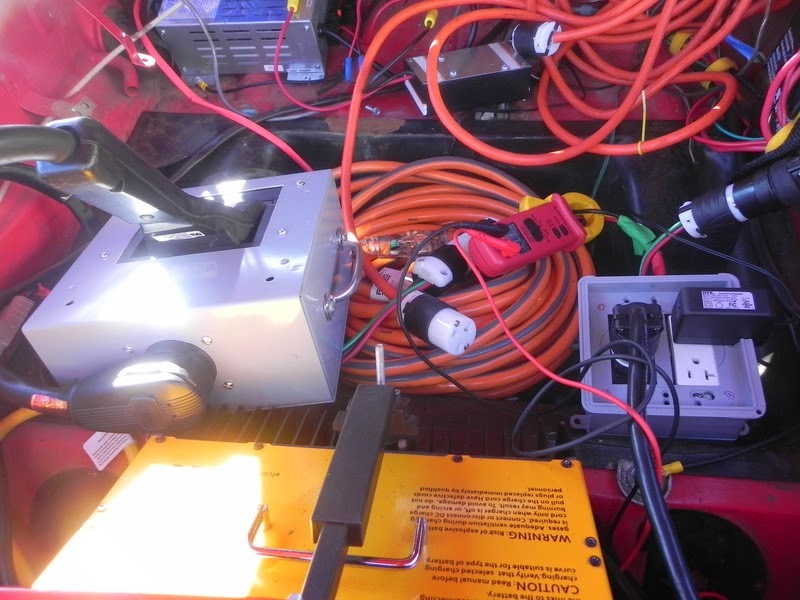 With the new battery pack being 145 volt lithium rather than 72 volt lead acid, that meant a whole new charging system. The first time around, I chose the Elcon PFC-3000. That was okay until one time I ran the car to empty and had to spend 8 hours hanging around a parking garage. 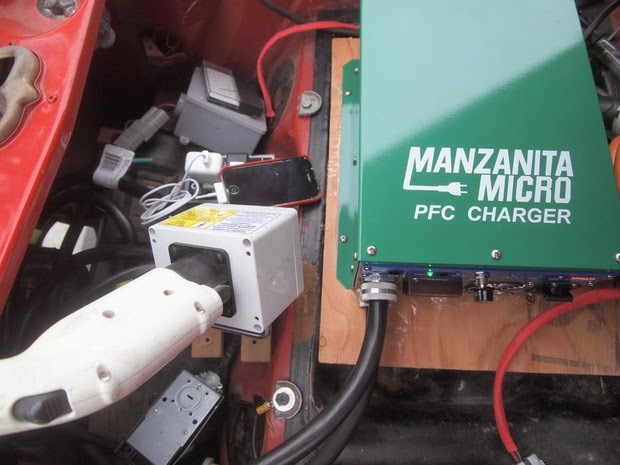 A few months later the PFC-3000 was replaced by the Manzanita PFC-40 that’s now in the car. It runs at up to 9 kilowatts, and at typical charging stations the car gets recharged in under 2 hours. Pretty good. The Elcon charger had a NEMA 6-20R plug on its power cord (240 volt 20 amp). This box is something I gimmicked up, allowing the charger to plug into the box, and also a power brick that runs the BMS. 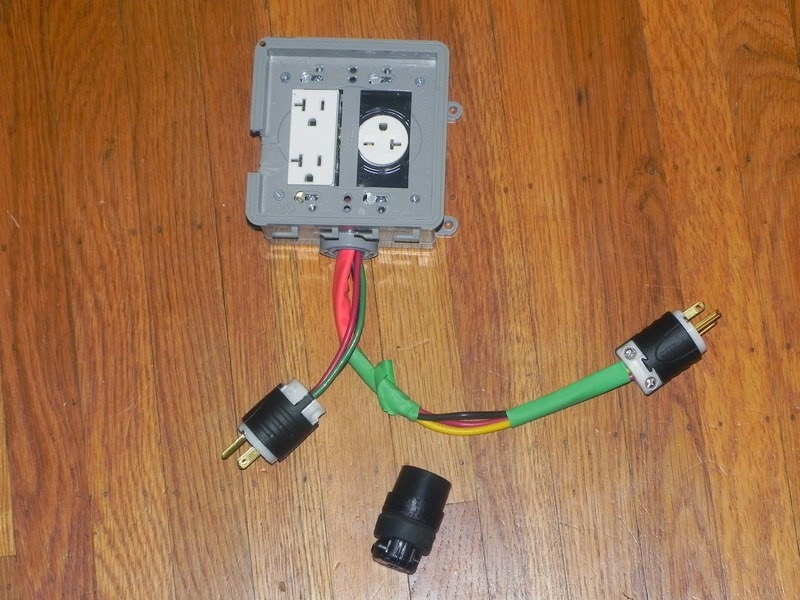 The two plugs coming out of the box allow connecting either to a 120 volt or 240 volt input. This two-plug arrangement wasn’t the most brilliant idea I’d ever had. The black thing shown here is a 120 volt socket that I kept over the 120 volt plug. Because both plugs were connected together, if one was connected to power the other was live. 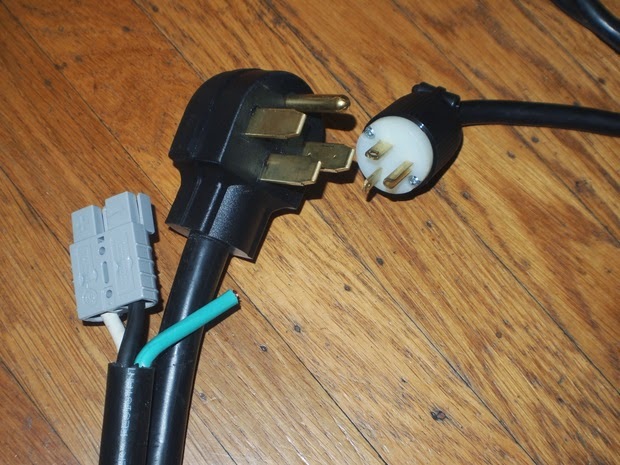 By keeping a non-connected socket over the live plug, it couldn’t electrocute anything. 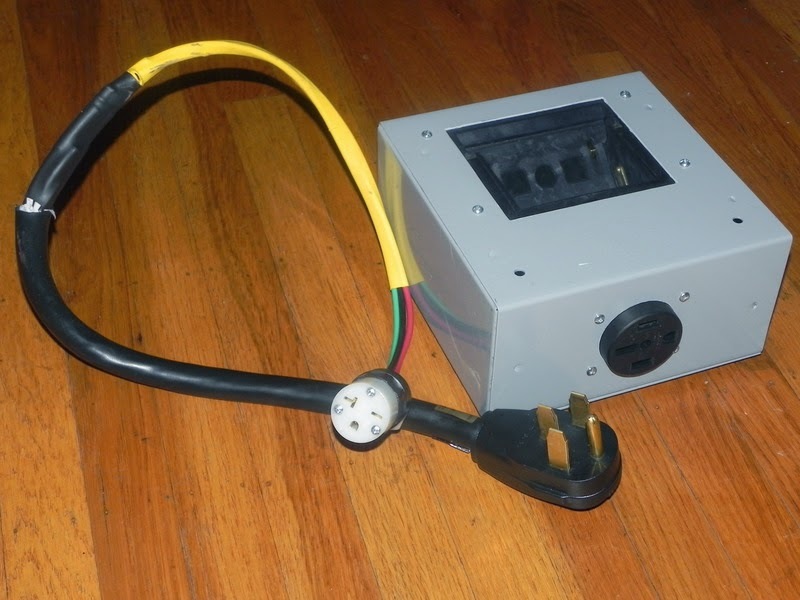 The BMS needed its own power supply so that it had proper isolation from the battery pack. The actual input to the BMS was a 12 volt supply but we didn’t want to run it off the DC-DC - for isolation. This shows the power all conected and running at 240 volts 16 amps. In the lower right you see the power brick for the DC-DC. There’s a spare 120 volt socket available here, and I was able to run my cell phone charger off this circuit while charging the car. The meters here are for measuring AC voltage, and let me see the input volts/amps to the charger and verify the system was powered up correctly. 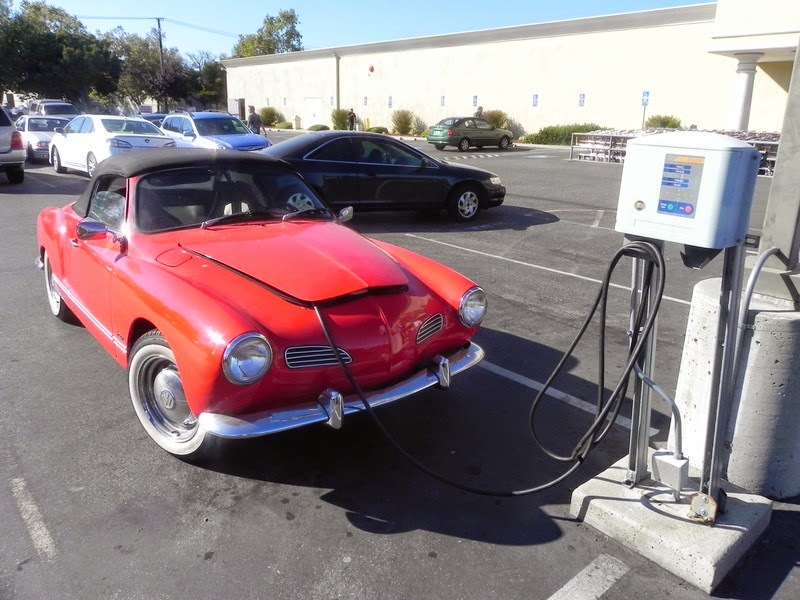 Before the current phase of electric cars, there was a previous phase of electric cars – if you’ve seen Who Killed the Electric Car, that movie shows those cars. 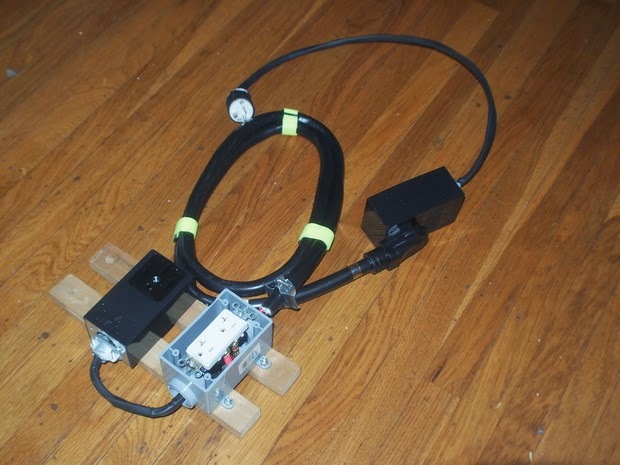 Some of the cars used a charging connector compatible with this box. The connector looked like a big claw, and stuck down in the hole on the top of the box. Out the side is a NEMA 14-50 outlet, and you see my home-built adapter cable with a NEMA 6-20R socket on the other end. The claw-type charging stations use J1772 signaling, but through this funky connector because the modern J1772 connector hadn’t been invented yet. The system in use - this is at the Fry’s Electronics store in Sunnyvale CA. The Elcon charger is shown at the bottom of the picture. I have an AC clamp meter connected to show the AC voltage, because the meter box shown above hadn’t been built yet. As said above, I then replaced the Elcon charger with a higher power Manzanita charger. They’re about the same size, but the Manzanita can handle over 3x the power. 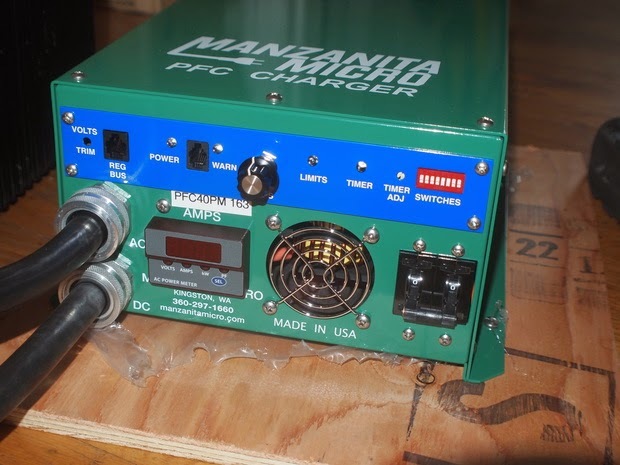 A great and wonderful thing about the Manzanita is the user can adust settings like target voltage and amperage. In the field. 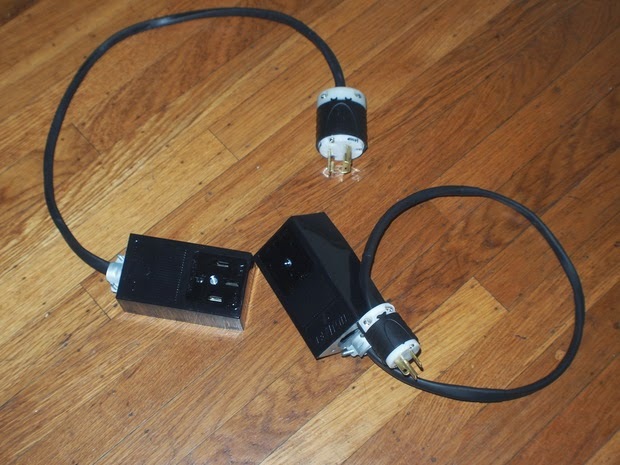 The input to the Manzanita is the NEMA 14-50 shown here, while the output is the Anderson connector shown here. 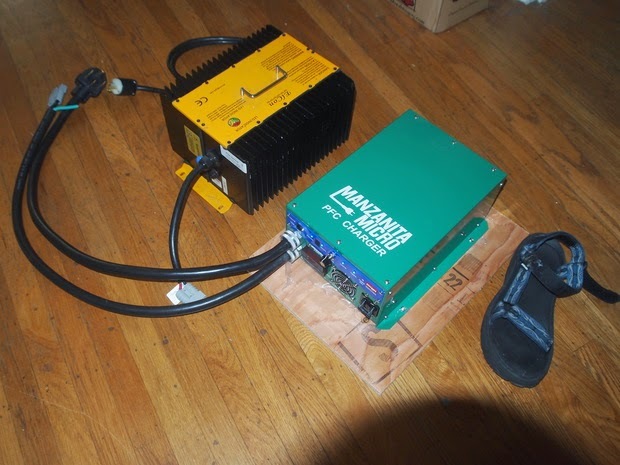 That meant redoing the system for powering both the charger and BMS off the charging station. The black box is a NEMA 14-50 outlet into which the Manzanita plugs. The other side is a NEMA 14-50 cord. 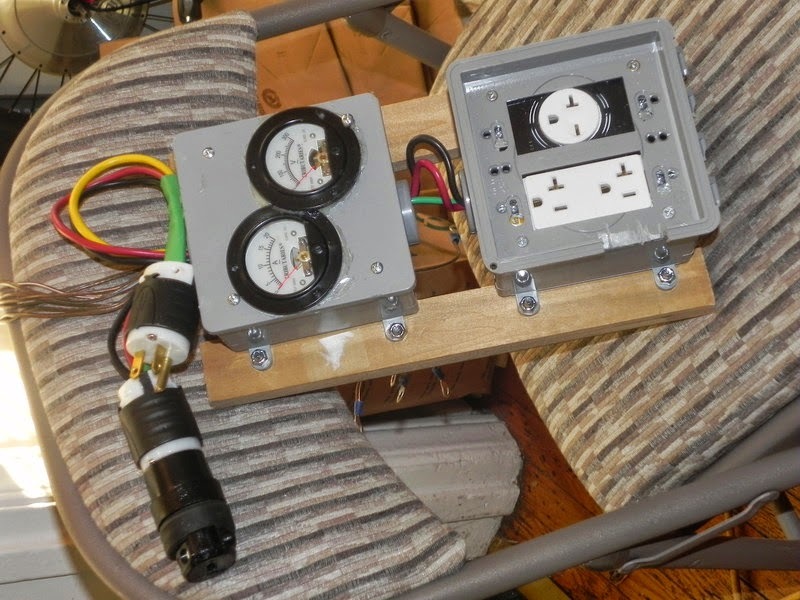 In order to connect to various power outlets, I built a set of adapters with a NEMA 14-50 socket on one side and a plug matching some other power outlet on the other side. Here’s a couple of the adapters. Using it in the field, connecting to a normal J1772 charging station. Look carefully and you’ll see my cell phone charging at the same time. 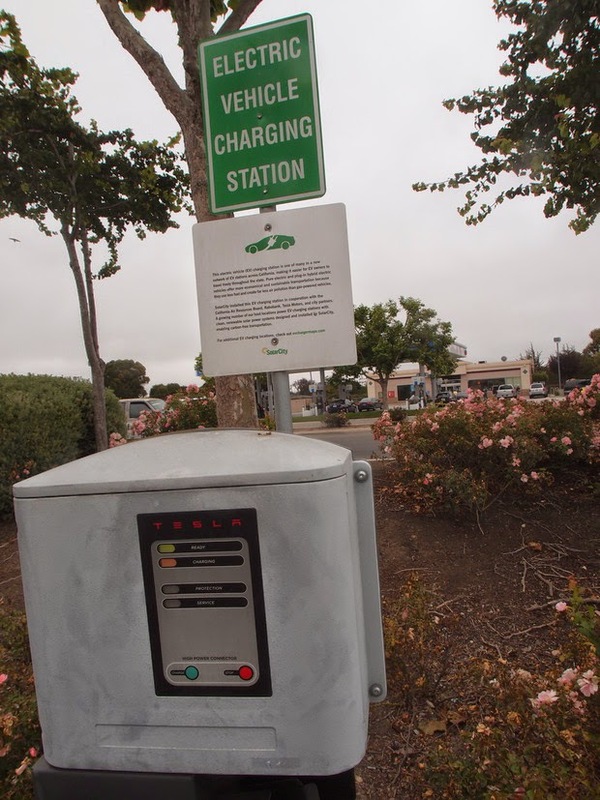 The RaboBank chargers were a project between Tesla Motors, Solar City and RaboBank to set up a series of charging stations between Los Angeles and the SF Bay Area. 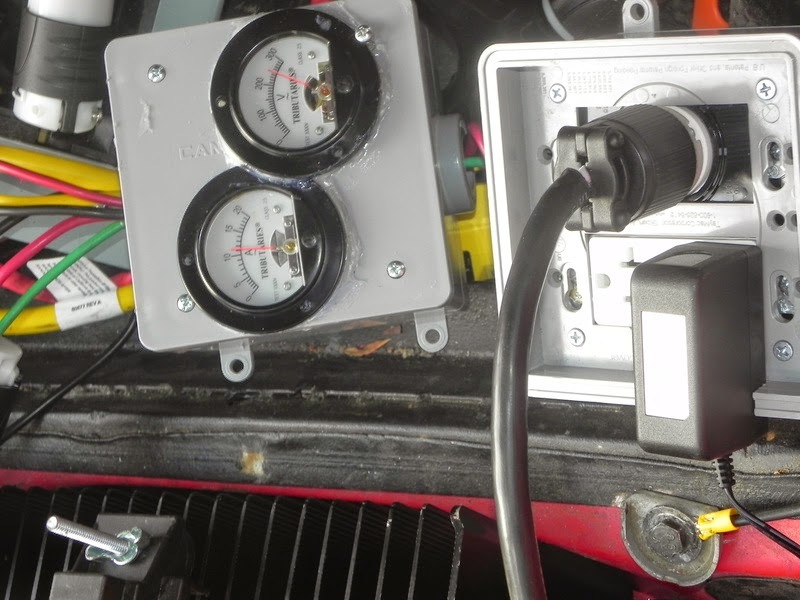 They’re 80 amp capable Clipper Creek units that originally had Tesla Roadster charging connectors. The original charging connectors have since been replaced with the modern J1772 plugs. The plaque explains it all, and lookee there – it says Tesla on the front of the charger. 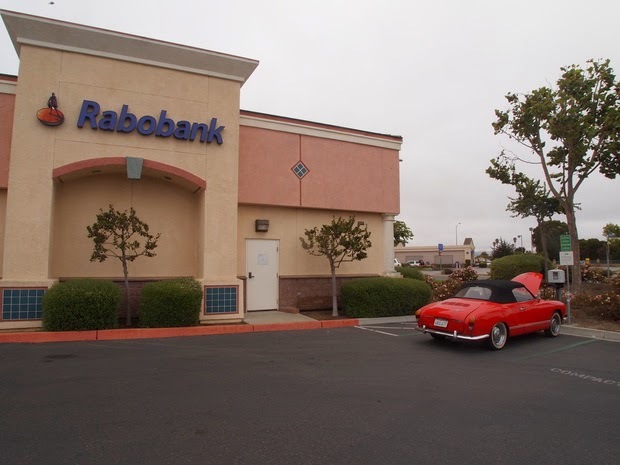 This one is in Salinas, CA. 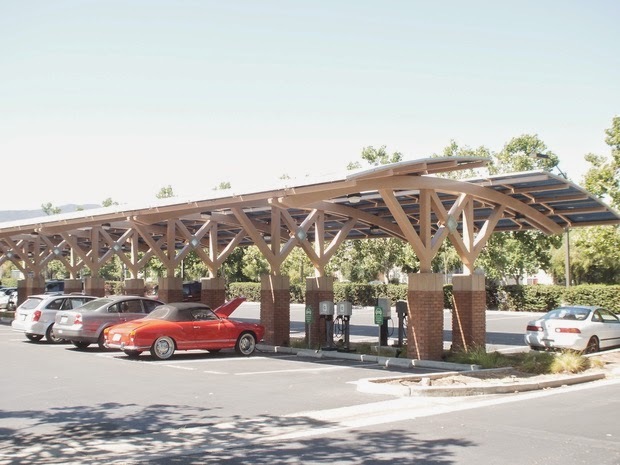 This solar panel shaded charging station is at the Santa Clara Water District headquarters in South San Jose.